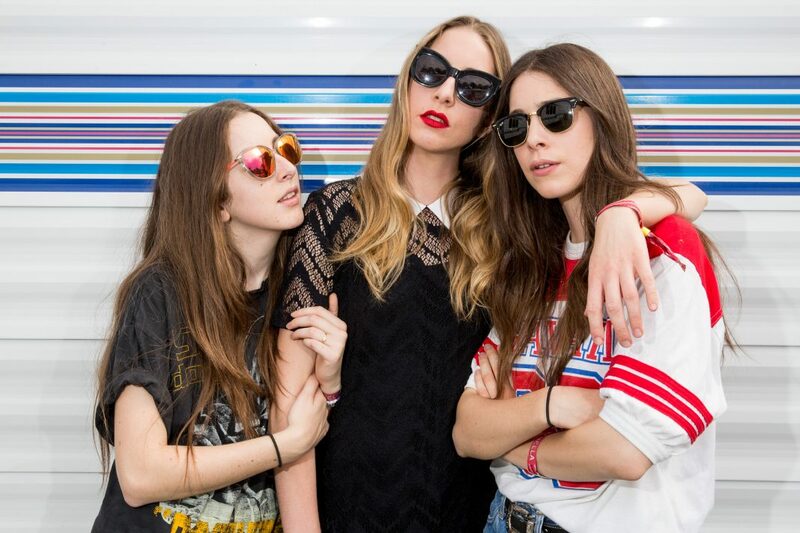 Great news today from L.A. daughters-slash-Taylor Swift squad members HAIM, the pop rock band made up of San Fernando Valley-born sisters Este, Danielle, and Alana: they have new music for us. The band has dropped the video for “Right Now,” the inaugural single off their sophomore album Something To Tell You (July 7). It’s their first record in four years, a wait that felt nearly as excruciating as Justin Timberlake’s eons-long musical hiatus (you remember; he wanted to “focus on acting”). If the vid for “Right Now” looks a little broody, a little Paul Thomas Anderson-y even, it’s because Anderson was the man behind the camera. The collab is like a meeting of the SFV minds: Anderson was born in Studio City, and you’ll recall that three of his most famous films—Boogie Nights, Magnolia, and Punch-Drunk Love—are set in the Valley, too. Truth is, the Haims and PTA go way back. Donna Haim, aka the girls’ mother, aka Mrs. Haim, was one of Anderson’s teachers when he was just a young genius on the rise (you can hear the whole story in the band’s interview with Beats 1). Life comes full circle, people. Listen to “Right Now” right here, then listen to it again and again and again until the rest of the album is released.